Israeli soldiers attacked, Tuesday, dozens of nonviolent protesters and journalists, during a protest held by families of political prisoners near the northern entrance of al-Biereh city, in central West Bank, wounding many of them. The soldiers deliberately attacked journalists documenting the nonviolent procession and fired many gas bombs and concussion grenades at them. The army also resorted to the excessive use of force against the nonviolent protesters, and fired gas bombs at them, causing many to suffer the effects of teargas inhalation, and wounding two who were directly shot with gas bombs, including one who was hit in the head. The nonviolent procession was held by more than 200 mothers or wives of political prisoners, in addition to many residents, including political leaders, who marched carrying Palestinian flags and pictures of imprisoned loved ones. 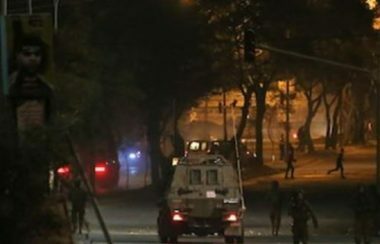 After the soldiers assaulted the nonviolent protesters, and forced them to disperse, several youngsters started hurling stones at the army, while the soldiers fired more gas bombs and concussion grenades at them, and at local journalists. Israeli military court of Salem on Tuesday postponed the trial of Islamic Jihad leader Sheikh Bassam al-Saadi, 58, to April 24, 2018. Muhjat al-Quds Foundation for Human Rights said that Israeli occupation forces arrested Sheikh Saadi on March 19, 2018 and accused him of belonging to Islamic Jihad Movement and being involved in the movement’s activities. The Palestinian detainee, Husam al-Ruzzeh, of Nablus city announced on Tuesday starting a hunger strike including refraining from drinking water, a few hours after being arrested. The leader of Popular Front for the Liberation of Palestine (PFLP), Maher Harb, said that captive Ruzzeh told the lawyer of Palestinian Prisoner Society who visited him in Salem military camp that he started hunger striking since the early moment of his arrest. Ruzzeh who is a leader of the PFLP was rounded up at dawn Tuesday from his home in the city. He had previously been arrested in Israeli jails where he served over 17 years of imprisonments, mostly under illegal administrative detention. Israeli soldiers abducted, on Tuesday at dawn, thirteen Palestinians, including a senior political leader of the leftist Popular Front for the Liberation of Palestine (PFLP), during extensive and violent searches of homes in several parts of the occupied West Bank. 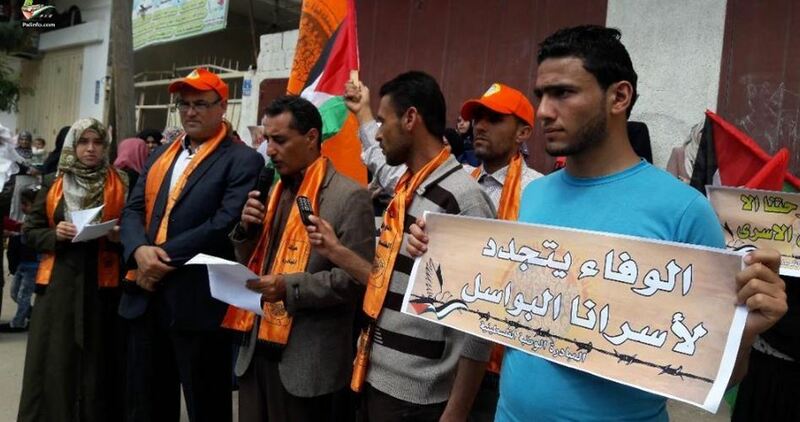 The soldiers also distributed leaflets in the al-Am’ari refugee camp, in the central West Bank city of Ramallah, warning “further restrictions and ongoing invasions,” if the Palestinians continue their protests. In addition, the army said some of its military jeeps were attacked with stones and Molotov Cocktails in the al-Khader town, south of Bethlehem, and claimed to locate a pistol during searches in the West Bank. Furthermore, the soldiers summoned for interrogation several young men, after invading their homes in Qarawat Bani Hassan village, in Salfit in central West Bank. The soldiers also started bulldozing and uprooting Palestinian lands in Immatain town, east of the northern West Bank city of Qalqilia, to expand the illegal Emanuel colony, which was built on private lands. It is worth mentioning that the army started bulldozing the lands, 15 Dunams, a month ago, but the owner, Fawzi Nasser Ghanayem, managed to obtain an order from the Israeli High Court, stopping the destruction on his property, but the army resumed the war despite the injunction. Ja’far Dahbour, 24, from Azzoun town, east of Qalqilia. Osama Sweidan, 16, from Azzoun town, east of Qalqilia. Yazan Shbeita, from Azzoun town, east of Qalqilia. 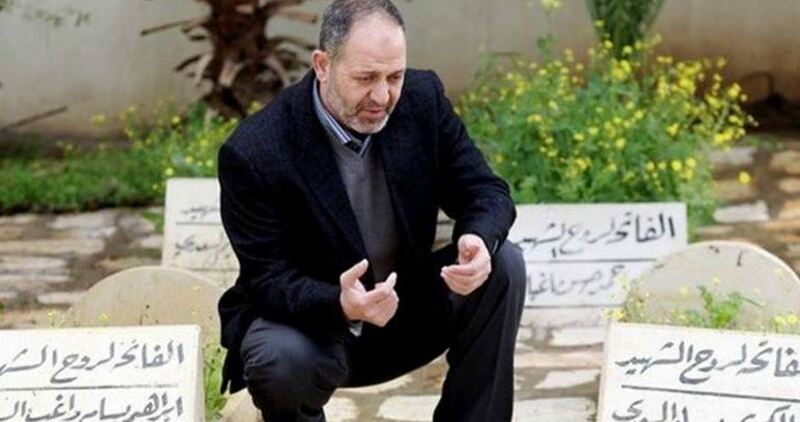 Abdul-Hamid Shbeita, , from Azzoun town, east of Qalqilia. Ahmad Mohammad Abu Haniyya, from Azzoun town, east of Qalqilia. Khalil Ali Qabalawi, Burqin town, west of Jenin. Ahmad Abdul-Mohsin, 42, al-Am’ari refugee camp, Ramallah. Daoud Suleiman Habboub, 26, al-Am’ari refugee camp, Ramallah. Nader Abbas, 28, al-Am’ari refugee camp, Ramallah. 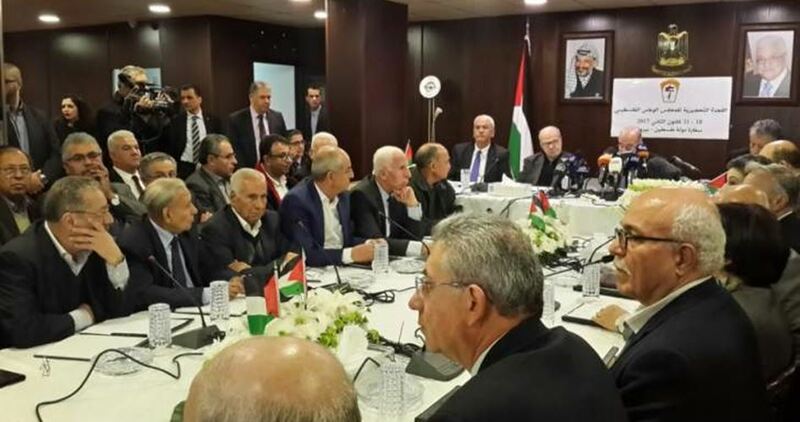 Palestinian National Council (PNC) demanded referring the file of Palestinian detainees in Israeli jails to the International Criminal Court (ICC) as the top prioritized fundamental Palestinian issue. 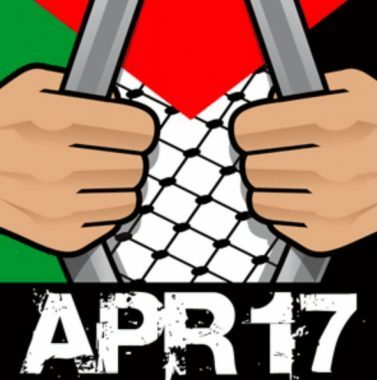 In a press statement on Monday, on the occasion of the Palestinian Prisoner Day which coincides on Tuesday April17, the PNC highlighted the fact that 215 Palestinian prisoners died due to brutal torture and medical negligence in Israeli jails. The statement called on international organizations to bear their responsibilities towards the Israeli crimes against Palestinian captives. The number of prisoners includes 350 children, 500 administrative detainees, and 1800 sick prisoners with 700 cases in need for urgent surgeries, the statement pointed out. 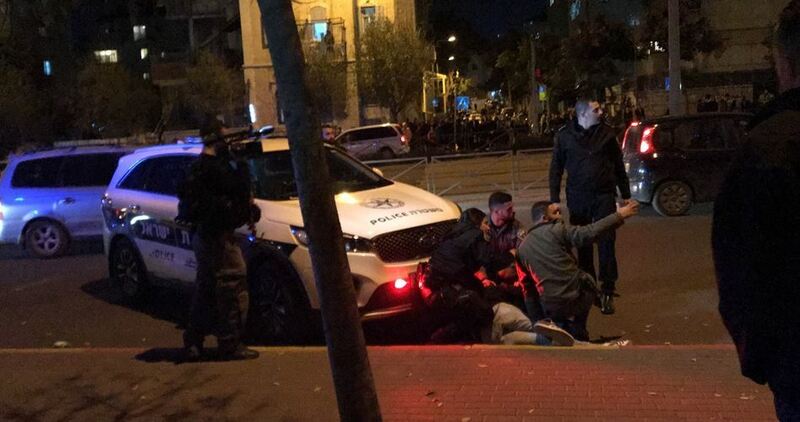 Israeli police on Monday evening rounded up three Palestinian youths after allegedly torching Israeli flags in Occupied Jerusalem. The 0404 Hebrew website stated that the three detainees are residents of east Jerusalem and that they were apprehended for burning Israeli flags near the French Hill settlement in Occupied Jerusalem. Earlier on Monday, Israeli police arrested six Jerusalemites including one woman and some children after storming al-Tour town east of the city and Shufat refugee camp to the northeast of Jerusalem. The Israeli Occupation Forces (IOF) arrested on Monday afternoon a Palestinian young man at a military checkpoint erected to the south of al-Khalil, southern West Bank. 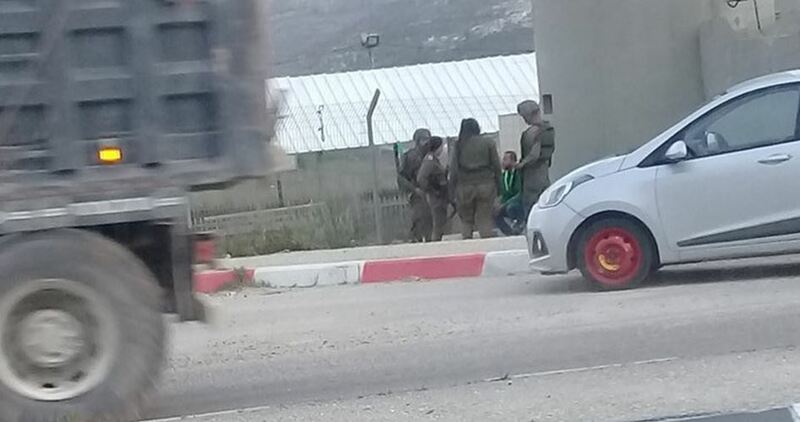 According to the PIC field reporter, IOF soldiers erected a military checkpoint at the western entrance to Fawar refugee camp where several Palestinian vehicles were stopped and searched. The university student Hassan Balassi, 22, was arrested at the checkpoint for unrevealed reasons and taken to unknown detention center, our correspondent added. 48 Palestinians have been serving prison sentences of over 20 years in Israeli jails, 12 among them have been incarcerated for at least 30 consecutive years. According to researcher Reyad al-Ashkar, from the Palestine Prisoners Center for Studies, half of those who appear on the list of the oldest-serving Palestinian detainees have spent over 25 years in Israeli dungeons. The list includes 29 detainees locked up in Israeli prisons since before the Oslo Accords, struck in 1994. Such a batch of detainees arrested during the First Intifada of 1987 should have been released by 2013. 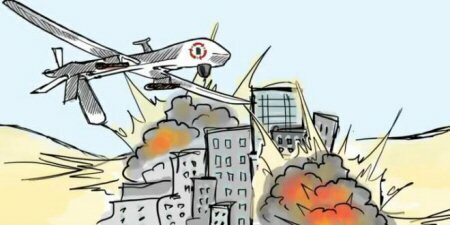 However the Israeli occupation authorities reneged on their pledge. 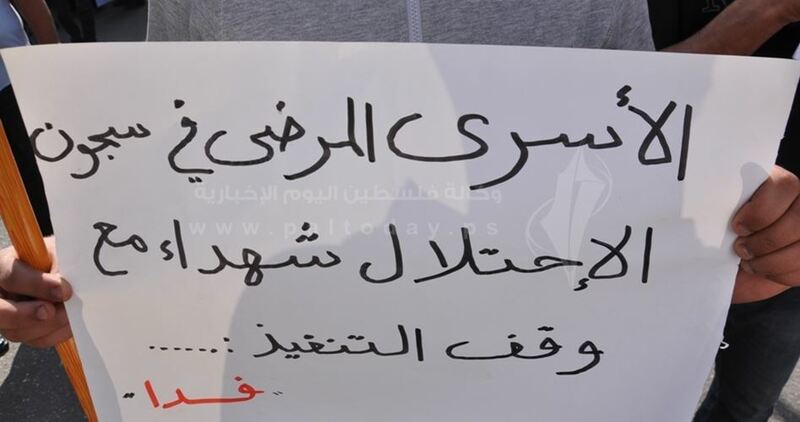 Al-Ashkar called for the need to speak up for the detainees, many among whom have not been able to bid farewell to one of their children, parents, or relatives nor attend their sibling’s wedding. Al-Ashkar also stressed the need to mobilize efforts and campaigns so as to release the longest-serving Palestinian detainees who have spent more than half of their lifetimes behind Israeli prison bars. The activist raised alarm bells over the dire detention conditions and deteriorating health status endured by the detainees as a result of preplanned medical neglect in Israeli lock-ups. The Journalist Support Committee (JSC) has called upon international organizations to support Palestinian journalists by pressuring Israel to stop its persistent violations against them and release 26 of them locked up in Israeli jails. 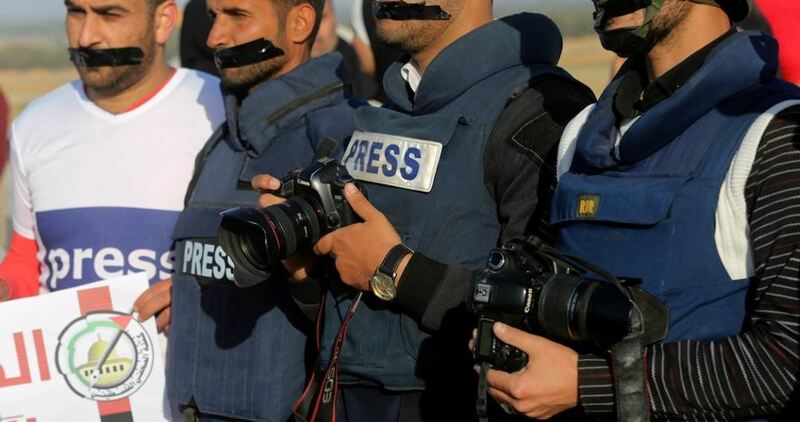 According to a report released on Monday by JSC on the occasion of the Palestinian Prisoner Day, Israel’s security and military forces intensified their violations against Palestinian journalists and attacked more than 93 of them during the first quarter of the current year. One of those journalists was killed by Israeli gunfire and 49 others suffered injuries in Gaza alone as they were covering recent “March of Return” protests in border areas. Israel’s security and military apparatuses have also arrested and detained 45 journalists since the beginning of the current year and extended the detention of 13 others already in jails. 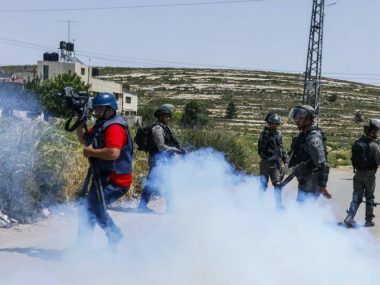 The committee also documented in its report that Israel’s forces raided 13 homes of journalists during the reporting period, while its security authorities imposed travel bans and financial penalties on 10 others. At least 30 Palestinians were arrested in West Bank raids and campaigns launched by the Israeli occupation forces (IOF) at dawn Monday. The IOF at daybreak raided Jalazone refugee camp and Silwad town in Ramallah and arrested a number of Palestinian citizens. Two Palestinian youths were arrested while three others were injured by metal bullets in clashes with the IOF soldiers who broke into Palestinian houses during raids in Nablus city and Balata refugee camp, local sources told the PIC reporter. 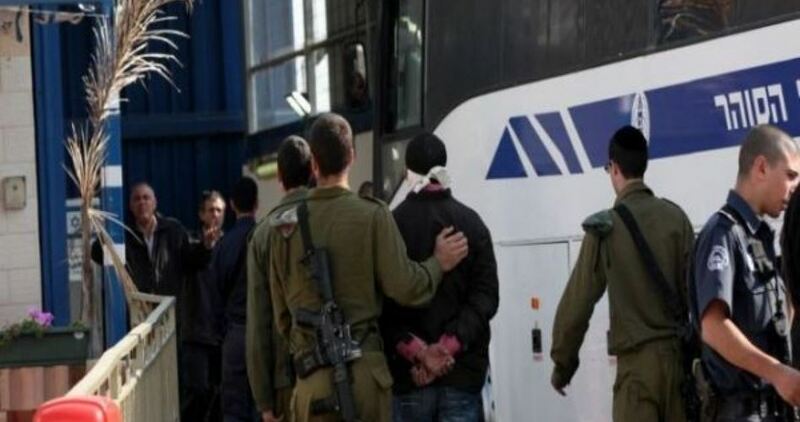 In Urif south of Nablus, a Palestinian ex-prisoner, who was released only a month ago from Israeli jails, was arrested after the IOF raided and searched his family house in the town. The PIC reporter said, quoting local sources, that other campaigns were witnessed in Qalqilya where four Palestinian citizens were abducted. 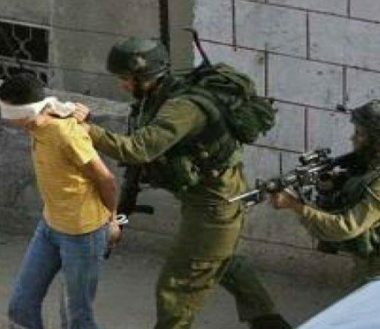 Meanwhile in Jenin, local sources said that dozens of IOF soldiers stormed the western neighborhood of Qabatia town, searched a number of houses and arrested four Palestinian citizens. At the same time in al-Khalil, the IOF kidnapped four Palestinians from their family houses in Doura town and al-Arroub refugee camp. Israeli soldiers invaded, on Monday at dawn, the Deheishe refugee camp, south of Bethlehem, and Teqoua’ town, east of the city, abducted two Palestinians and injured one. The Bethlehem office of the Palestinian Prisoners’ Society (PPS) said dozens of soldiers invaded Deheishe refugee camp and shot a young man with a gas bomb in his face, after dozens of youngsters protested the invasion and hurled stones at the army vehicles. The soldiers also invaded and searched homes in the refugee camp, and abducted Ahmad Omar al-Atrash, 19. The young man was rushed to a local hospital suffering a moderate-but-stable injury. 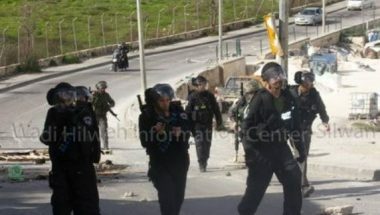 Furthermore, the soldiers invaded Teqoua’ town, east of Bethlehem, searched homes and abducted Ammar Yasser al-‘Amour, 18. 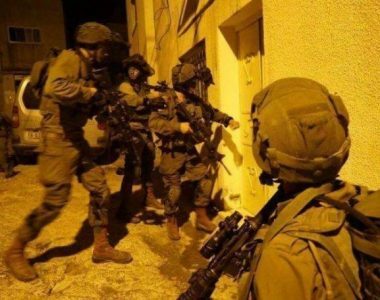 Israeli soldiers invaded, on Monday at dawn, Hebron city and several villages and towns, searched and ransacked many homes and abducted four Palestinians, including one child. Media sources in Hebron said the soldiers abducted Firas Yacoub Natsha, 12, from his home in the Old City of Hebron. They added that the army also abducted Nasr Mohammad Rajoub and Younis Rajoub, from the al-Kum village, southwest of Hebron. 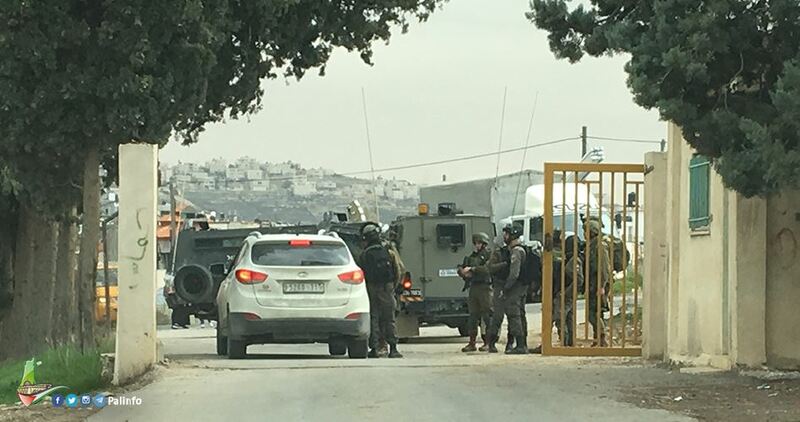 In addition, the soldiers invaded Beit Ummar town, north of Hebron, and the as-Seer nearby village, south of the town, searched homes and abducted Yasser Awad Za’aqeeq, 27, before moving him to Etzion military base and security center, north of Hebron. The soldiers also invaded many neighborhoods in Hebron city, in addition to the towns of Bani Neim, Deir Samit, Doura and ar-Reehiyya, and installed many roadblocks, before stopping and searching dozens of cars and interrogated many Palestinians while inspecting their ID cards. The soldiers also installed a roadblock at Hebron’s northern road, before stopping and searching dozens of cars, and interrogated many Palestinians. 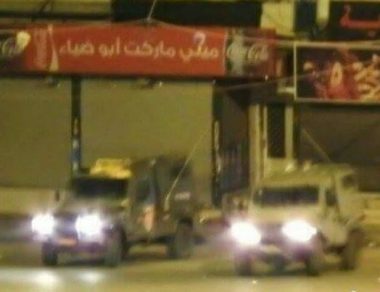 On Sunday evening, the soldiers invaded ‘Aseeda area, in Beit Ummar, and fired many live rounds, rubber-coated steel bullets and gas bombs, in addition to forcing many stores shut, after the soldiers failed to abduct a Palestinian, they ambushed in that area. 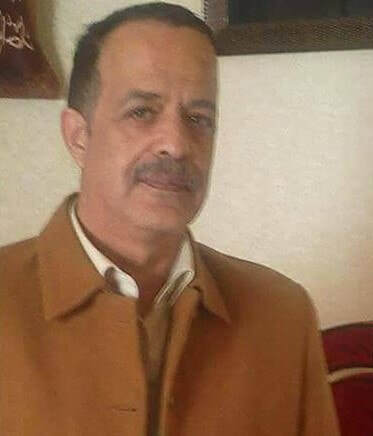 The soldiers also attacked local activist Mohammad Awad, who was documenting the invasion and violations, and took him to the military tower at the main entrance of the town. Awad said the soldiers tried to accuse him to “carrying a knife,” but had to release him because he, and other Palestinians, were documenting the unfolding events, which proved the falsehood of the army’s allegation. The health conditions of sick and wounded Palestinian prisoners in the infirmary of Ramla jail deteriorate everyday in the absence of proper medical care and medication. According to a report released by the Palestinian Commission of Detainees and Ex-Detainees’ Affairs, the Ramla prison infirmary are crammed with prisoners who suffer from difficult health problems, injuries or disabilities, and are exposed to medical neglect. There are 15 prisoners with worsening health conditions in this infirmary, the report noted.